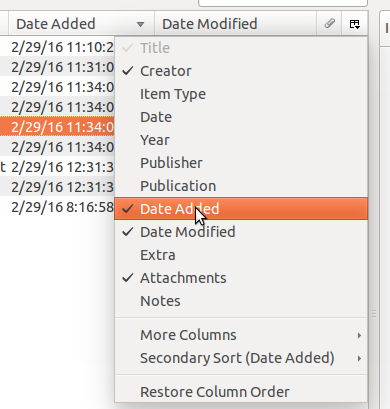 This short article is a soft introduction into Zotero user interface. We use Zotero in Firefox in this article, so you using Stand Alone version probably will see some differences. This article covers four aspects: interface structure, tab mode, sorting, and searching. Hope this helps. 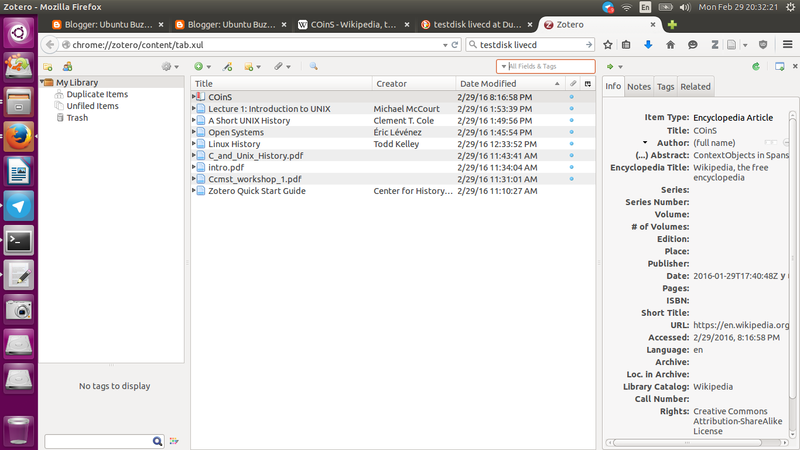 Zotero interface divided into three vertical columns. 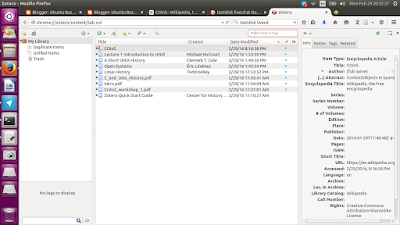 Left column shows file manager of your library and tag manager below. Center column shows your items, your collected references from one library. It shows also item manipulation buttons on the top and a search bar. Right column shows properties for one selected item from center column. button to change mode. It is located at the top-right corner. To go back to default mode, press that button again. 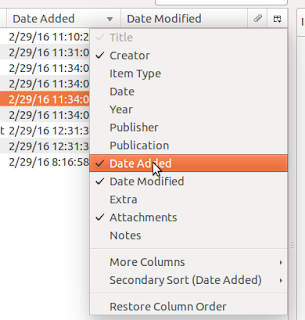 As example, click on the most top-left button on the center column, select Date Added. Then you can click on Date Added category to sort items ascending or descending. By this, you can easily see your items sorted like blog posts. The newest is on the top, the oldest is on the bottom. This example of view will help you collecting references, but you can also add another sorting category such as Publisher. To enable full text search, click on the black triangle button in search bar > Everything. This will search through the text content of all items, just like internet search engine. Now you can search anything and everything from your library. You can search the text inside Wikipedia, web pages, or PDF files you have collected.